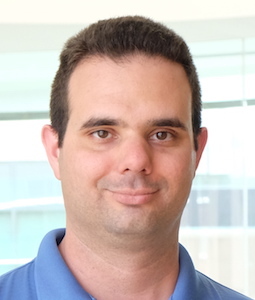 Jesse McClure is a postdoctoral fellow in the Karlsson lab. Jesse has a diverse background in animal behavior starting as a military working dog trainer in the United States Marine Corps where he trained dogs for protection, intruder detection, and explosive and narcotic detection. After his military service he worked as a pet trainer while earning his bachelors degree in biology and animal behavior at St Cloud State University which he completed in 2008. Jesse continued on to doctoral research in neuroscience and behavior studying the neural and behavioral mechanisms of impulsive choice at the University of Massachusetts Amherst for which he earned his PhD in 2015. Jesse recently started as a post-doctoral associate at the University of Massachusetts Medical School where he aims to combine his knowledge of animal behavior with his computational skill-set to contribute to the study of behavioral genetics in companion dogs. Jesse also maintains active collaborations with both human and animal behavior researchers for which he has developed behavioral testing equipment and data analysis software.